is designed to keep receptionist area, school safety desks and other commercial applications updated with door conditions. i.e. 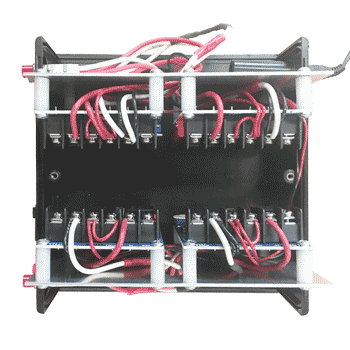 If the door is open for too long, a red light and/or buzzer will activate. 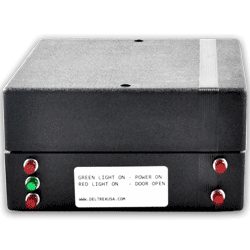 The timer function can be adjusted to signal a red light after 10 seconds. 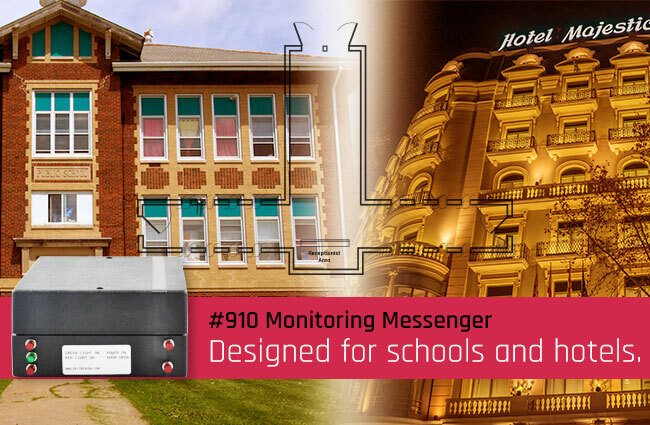 The monitoring messenger can monitor 1 to 8 doors. There is a timer function that allows the user to choose a set amount a time the door should be open before a red light is triggered informing the user that the door has been open for that set amount of time. NOTE: In order to get an accurate price for our system, please take in account for all doors needed for your project and the products featured on this page.